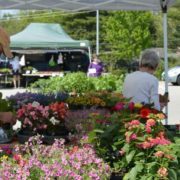 The Howard County Farmers Market at Clarksville Commons will be on Saturdays this year. GreenStone Ventures announces the new Common Kitchen coming to Clarksville Commons this Spring. 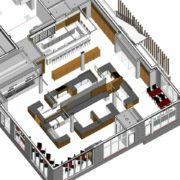 https://clarksvillecommons.com/wp-content/uploads/2018/04/common-kitchen-rendering-edit_1522420379050.jpg_82481535_ver1.0_640_480.jpg 480 640 Ralph /wp-content/uploads/2017/05/logo.png Ralph2018-03-30 14:54:082018-04-03 19:59:30GreenStone Ventures announces the new Common Kitchen. A local marketplace with 10 vendors, packaged goods, and a coffee, juice and cocktail bar will open this spring at the Clarksville Commons — the first food hall in Howard County, according to the developers of the project. Howard County will get its first food hall with the opening of The Common Kitchen in Clarksville Commons. 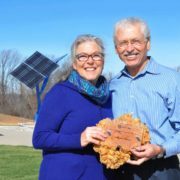 George and Holly Stone moved to the small Howard County community of Clarksville from Rockland County, N.Y., in 1990. During the past 27 years, they’ve seen their sleepy little village slowly grow and thrive, not only as a gateway between Baltimore and Washington, D.C., but as a live-work-play destination in its own right. Clarksville, MD — Clarksville Commons has captured the Wintergreen Award For Excellence for “Small Commercial Redevelopment” from the United States Green Business Council (USGBC) Maryland. The presentation was made at the 12th Annual Awards Celebration on January 26, 2017 at the Exelon Baltimore Headquarters. The awards celebrate, promote and recognize excellence in high performance, healthy design and building; environmental stewardship and community impact; and serve to highlight the green building initiatives and achievements of the USGBC Maryland community projects, businesses, local members and other individuals. Clarksville Commons features environmentally sustainable architectural design, including photovoltaic panels, a living green roof, cisterns to capture rainwater, and storm water runoff mitigation through rain gardens and porous surfaces. Clarksville Commons is a 40,000 sq ft sustainable, mixed-use commercial center, creating a sense of place on Route 108 in the center of Clarksville. 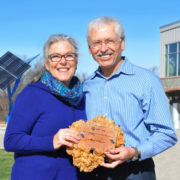 The developers are GreenStone Ventures II, LLC, whose principals, Holly and George Stone, have lived and raised their family in Clarksville for over 25 years. Clarksville Commons construction is near completion and tenants have begun their build-outs with openings scheduled for later this spring. The center will feature Food Plenty, a restaurant offering made from scratch comfort food, according to Victoria Restaurant Group Proprietor Randy Marriner. Clarksville Commons will also feature You Pizza, Kupcakes & Company, Creig Northrop Real Estate, and Vanguard Orthodontics. The Stones are seeking additional tenants who will adhere to the sustainable principles of Clarksville Commons and by so doing will add to a sense of place for the community. 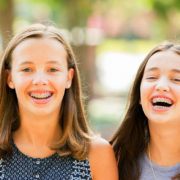 Vanguard Orthodontics is now seeing patients Wed/Thurs from 10a-1p and 2p-6:30p and will begin Fridays mid-summer. Dr. Byron Bonebreak has been practicing for 30 years in Howard County and his son Dr. David Bonebreak who is a 2001 graduate of River Hill High School practices with his father at Vanguard Orthodontics. Michelle and Bill Kupiec, owners of Kupcakes & Co. are proud to announce that they have opened their second location at Clarksville Commons located at 12250 Clarksville Pike, Clarksville, MD. They opened their first location in Elkridge, MD on June 4, 2011. 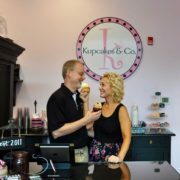 Bill and Michelle’s inspiration for opening Kupcakes & Co. came while their daughter Amanda was recovering from spinal fusion surgery as a result of scoliosis. A friend that had the same surgery a year prior told Amanda to keep herself occupied during her recovery by watching the Food Network. Watching Ace of Cakes around the clock encouraged her to bake her very first homemade cake with fondant and butter cream icing. It turned out perfect! Amanda went on to earn a B.A. degree in Baking and Pastry from the Culinary Institute of America, in Hyde Park, NY. After starting out their business by supplying food trucks with cupcakes, the demand for their delicious desserts was overwhelming and opening a bakery near their home in Elkridge was a natural next step. Kupcakes & Co. is much more then cupcakes. They offer made-to-order cakes and have baked over 450 wedding cakes. In fact, they were an episode winner on the television show Cake Hunters on the Cooking Channel, Season 1 Episode 7 titled “Mint for each other”. Stayed tuned for an announcement about Kupcakes & Co. appearing on Season 2 of Cake Hunters! The Kupiec family gives back to the community as a way of doing business. 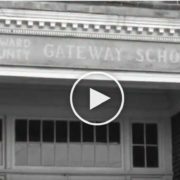 They created their very own “Pay It Forward” program and that is what they strive to do every day. Kupcakes & Co. is passionate about giving back and helping others in need and donating their cupcakes weekly to local food pantries and homeless shelters in the area. Every year they host “Kupcakes with Santa” and recently they were able to raise enough money to donate a Pediatric Vein Finder to Howard County General Hospital. Their next project is to raise another $15,000 to provide pediatric gym equipment to HCGH. Michelle & Bill are thrilled to be in Clarksville and look forward to “meeting new friends and customers”. Go to http://www.kupcakesco.com/ for more information. 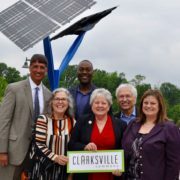 Clarksville, MD — Clarksville Commons will host a “First Look” preview for community leaders on Tuesday, May 23 from 5p – 7p located at 12230 Clarksville Pike. Clarksville Commons features environmentally sustainable architectural design, including photovoltaic panels, a living green roof, cisterns to capture rainwater, and storm water runoff mitigation through rain gardens and porous surfaces. 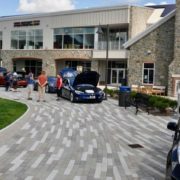 Clarksville Commons won the 2017 Wintergreen Award For Excellence for “Small Commercial Redevelopment” from the United States Green Business Council (USGBC) Maryland. Clarksville Commons construction is completed and tenants have begun to open. You Pizza officially opened on May 19, 2017. The famous Scoop & Paddle VW Van sits on the Commons serving their delicious homemade ice. 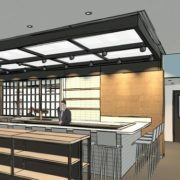 Kupcakes & Co will open in early June. Vanguard Orthodontics will open on June 1. Creig Northrop Team of Long & Foster Real Estate is scheduled to open in July. Food Plenty will open late this summer or early fall, offering made from scratch comfort food according to Victoria Restaurant Group proprietor Randy Marriner.